It’s been quite a while since we were last at Dommune, September last year actually… But finally we will be returning next week on Wednesday 14 May. Our guest is Sandrien, who is coming to Japan to play the Mariana 2.0 party at Air with Peter Van Hoesen, and the Star Festival. She’s a very proper DJ who is on the rise. A great time for her to be visiting to Japan, and playing – I think – for the first time here. I’ll be doing the warm up slot, which I am looking forward to. It’s always a pleasure to play at Dommune. 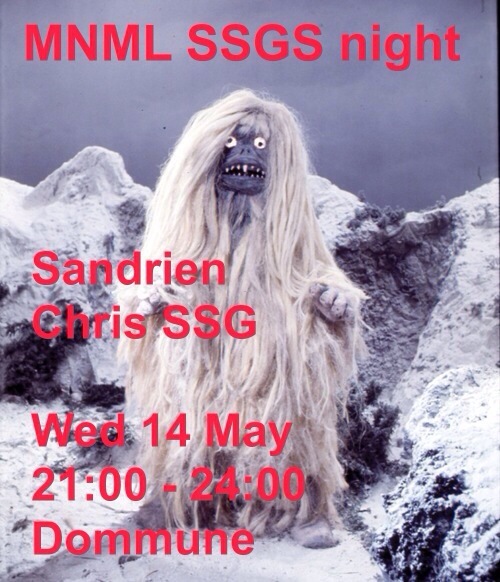 So if you are free next Wednesday, come down to Dommune or tune in. Should be another fun night.